The Best Product and Incubation Award is sponsored by Hearst and includes a $5,000 cash prize and access to incubator advising and space in the Hearst San Francisco office. The recipient will be awarded based on teh following selection criteria: Is it solving a clear problem? Is it clear who it's being built for/how they will use it? Does the solution address the problems at hand? Is it useful? The Young Innovator Award is sponsored by Chegg and includes a $5,000 cash prize. This prize is available to students only and will identify the best solution created by student-age hackers. The Unique Concept and Originality Award is sponsored by Gucci and includes a $5,000 cash prize and tickets to the 2017 Global Citizen Festival in the fall. The recipient will be awarded based on the following selection criteria: Is it aesthetically appealing? Does the solution push creative boundaries? Is the product an innovative approach to unite users globally? The Transform Lives Through Learning Prize is sponsored by Coursera and includes a $5,000 cash prize and a half-day with Coursera Leadership to cover pitching, technical career coaching and development, resume review and interview coaching and project strategy. The recipient will be awarded based on the following selection criteria: Does the solution transform the life of the learner, connecting them to opportunities to become their best self, whether that means building their career, furthering their studies, improving their community, or changing the world? Is it an innovative take on guiding user action? Does the solution unite individuals and provide a personal connection to other people or resources? The Social Good Award is sponsored by host Facebook and includes a high-end, in-kind gift. The recipient will be awarded based on the following selection criteria: Does this idea use Facebook’s platforms for social good? Does it adequately and creatively address the challenge? CHIMEHACK 4 will celebrate the power of women in technology and identify ways for disruptive technology to advance solutions for girls and women at a tipping point moment in history. 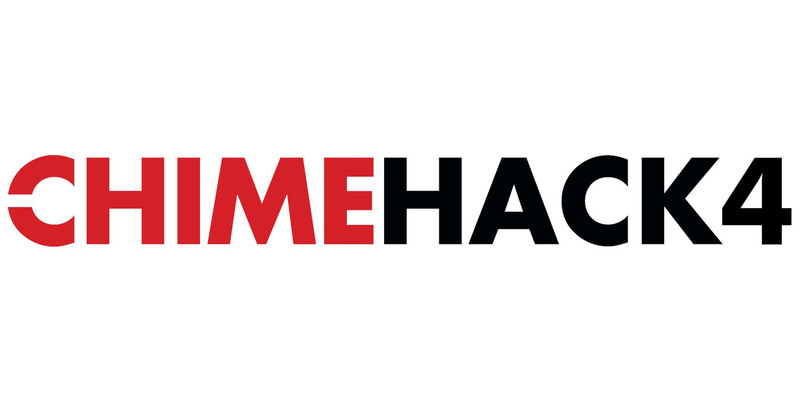 CHIME FOR CHANGE, Global Citizen, Facebook and Kleiner Perkins Caufield & Byers are teaming up again to host CHIMEHACK 4, a hackathon that brings together rising stars in the technology-sector to create tech-driven solutions that advance gender equality. In 2016 Facebook hosted CHIMEHACK 3 at their headquarters in Menlo Park, resulting in nearly 20 solutions, and $25,000 in cash prizes. Join us this year as we identify ways for disruptive technology to advance girls' education. Winners will receive cash and in-kind prizes from our sponsors - Gucci, Facebook, Kleiner Perkins Caufield & Byers, Hearst, Chegg, Enjoy and Coursera. Up to $30,000 in cash prizes and more are on offer. Note that this is a closed event, by application only. You must register your team and submit your initial pitch on this page by Saturday, 10 June at 8pm. The pitch template is available here. To create your pitch, please make a copy (file -> make a copy) of this template, fill in your information, and send us a link to your proposal and make sure that anyone with the link can comment on the deck ("share" button), set sharing to "Anyone with link can comment"), so that our mentors can help comment on your deck. The final product submissions will be judged in a fair format with judges moving from table to table (you can show the judges on your computer or phone) on Sunday, 11 June, 2017. Each team should prepare a two minute pitch describing their concept and demonstrating the product. Expect to give the pitch multiple times as teams of judges come through to see your work. Winning teams must make their products available for viewing online. CHIMEHACK 4 will focus designing a technological solution to reach school-aged refugee girls with quality education while they are on the move and unable to access formal schooling. Please note that the challenges and interventions needed will be discussed during the kick-off event on June 10 which will include a panel of issue-experts. Throughout the hack, teams will be provided with access to key leaders and nonprofit organizations working in the space to help craft their solutions. Hackers hack through the night! Engineers, designers, product managers and marketing experts of all levels are invited to apply. Participants under 18 years of age must be accompanied by an adult. Hackers must present their ticket from the CHIMEHACK team to gain entrance to the event. Due to overwhelming response, this event is not open to the public and is via application only. You will not be permitted to enter this event unless you have a ticket. Minimum 1 member and a maximum of 6 members per team to be eligible for the prizes. Facebook is located at 1 Hacker Way, Menlo Park, CA 94025. Upon arrival at Facebook follow signs to Lobby 18. Attendees will check at Lobby 18 - please bring ID with you. Please arrive as close to 1pm as possible to ensure smooth check in. You will receive CHIMEHACK 4 badges on arrival - please note all attendees are required to wear badges at all times while at Facebook. Your badge is non-transferable. Thank you - see you on Saturday at 1pm! Does the project identify ways for disruptive technology to reach school-aged girls with education? Does the solution empower individuals to make a difference for others? Does the solution push creative boundaries and use an innovative approach to unite users globally? Does the solution transform the life of the learner, connecting them to opportunities to become their best self? Is it an innovative take on guiding user action?